Commemorate an event in your life by sponsoring an olive tree in the Holy Land— the ultimate gift that can last for generations! 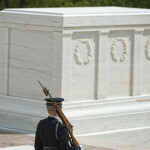 Honor American people, places, events, and institutions. Each commemorative tree is planted in the Holy Land. The land of Israel has a very tight bond to our American lives. People worship the relationship and have fought for its survival. 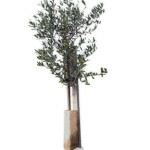 As well as commemorating important aspects of American history and culture, these trees help raise money for important causes—sustainable agriculture in Israel. Sponsor an olive tree in the land of Israel and join us in helping provide employment for Israeli families and funds for humanitarian aid projects in Israel! Each year our farmers keep the olive harvest proceeds as part of our effort to help build their agricultural economy, and My Olive Tree, in turn, donates a minimum of 10% of all oil sales from these trees directly into humanitarian aid projects—thus, blessing Israel for generations to come! Click on the button below to choose your commemorative tree: a sapling, a 1 to 2-year-old tree, or a mature 10 to 30-year-old tree. Leave a legacy of your life-changing event in the Holy Land today! Payment plans now available.